Frequent Urination: Why Do I Pee So Much? Frequent Urination: What is making me pee so much? Obviously, frequent urination is common for pregnancy and for other medical conditions. But, what if you’re not pregnant? Or don’t have a medical condition? What, then, causes frequent urination in an otherwise healthy individual? Many foods and drinks cause frequent urination. I’ve noticed that whenever I eat asparagus, I have to pee, a lot. At first (after the asparagus), I couldn’t figure out why I had to pee so often. I didn’t think I ate or drank anything out of the ordinary. And then, after about 2 days of eating asparagus (the rest of the diet the same as always), my bladder would fill in about 5-10 minutes. Of course, this is extremely annoying when trying to sleep. And the effects would last for a whole day or more. So I looked it up online. I only found 1 reference in an obscure post that talked about frequent urination; most posts and articles only talk about the “smell” of the urine after consuming asparagus. Hence why it is important to write this article to tell people that YES, asparagus can and will make you pee often. 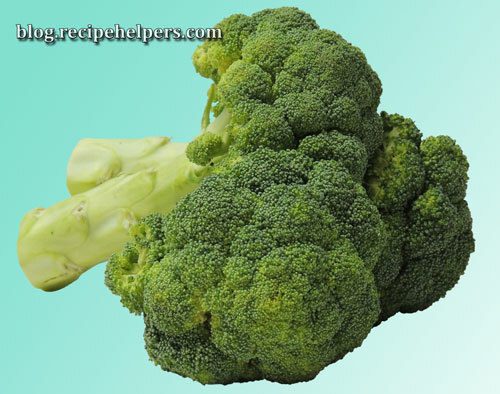 Broccoli, one of many foods that cause frequent urination. Of course, I thought it was just the asparagus that had this affect. I was wrong. I had some steamed broccoli, and lo and behold, my bladder was filling within 1 hour. Again, since nothing in the diet has changed, this leads me to conclude that it is the broccoli that is causing the frequent urination. This gets me thinking, if asparagus makes me pee, and broccoli makes me pee, then what other vegetables would cause the same effect? Is it limited to green vegetables? Or is it the type of vegetable? 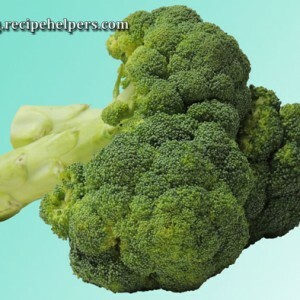 Both asparagus and broccoli are green, however, they are both stems of undeveloped buds. So, trials would need to be done in order to test either of these theories. Then there’s the overlooked “cooked vs. raw” issue. Does it make a difference on the body (for urination purposes) whether or not the veggies are cooked? Do these vegetables only act as a diuretic when cooked? Or do they act the same raw? Unfortunately, right now I don’t have the means to test this out. And it’s not just the vegetables that cause the need to pee. I recently discovered yet ANOTHER reason for the full bladder so often. Excess protein. Yes, excess protein causes frequent urination. I only discovered this one because I started working out and drinking protein shakes. And of course, with working out, you not only have your instant protein with the shake, you are also eating protein. So, what happens? Your body can’t process all that protein to turn it into muscle for you, so you end up peeing it out. I tell you, from experience, too much protein is like drinking coffee, where even just a little bit will cause you to pee almost constantly for hours after the fact. Too much protein comes out as pee. As most people already know, coffee is a diuretic and it causes frequent urination. It also makes your pee smell funny; I’ve dubbed it “caffeine pee”. Milk will also cause frequent urination. I have yet to test whether this is organic milk, or non-organic milk, but milk can cause a bladder to fill very quickly. Again, most people already know that alcohol will cause a very frequent urination. Once you pee, you can’t seem to stop and your bladder just fills and fills; I’ve heard this called “breaking the seal”. A strange little tidbit that I noticed in my trials is that when I mixed milk and alcohol (vodka in particular) the effects of the frequent urination in both the milk and the alcohol seemed to cancel each other out. My theory on as to why (and I’ve written about this before in my recipe forum recipehelpers.com) is because alcohol is draining your body’s water, therefore dehydrating you, while milk is giving you excess water. So what happens is, instead of the alcohol dehydrating you, it takes the excess, or allows for the milk to rehydrate, and your body balances itself out. In some ways this makes perfect sense, and in others it doesn’t, but I do know that combining the two frequent urination causing beverages, there is no frequent urination effect. Some, but not all tea, causes, for me at least, frequent urination. Drinking black tea and green tea, with sugar or honey, doesn’t cause the urgent need to pee. However, other teas can cause the bladder to fill within minutes. I haven’t tested many teas, but it seems that for me, anything other than black or green teas make me have to pee. I recently had jasmine tea, and boy did I have to pee within 10 minutes of having just a sip; and I continued to pee every 10 to 20 minutes for hours afterward. I’m sure there are many other things that cause frequent urination, but this is the list that I have gathered based on personal experience. If you have other things that you have noticed that make you pee often, feel free to list them in the comments below. Copyright © 2007 - 2015, Recipe Helpers™, All rights reserved.